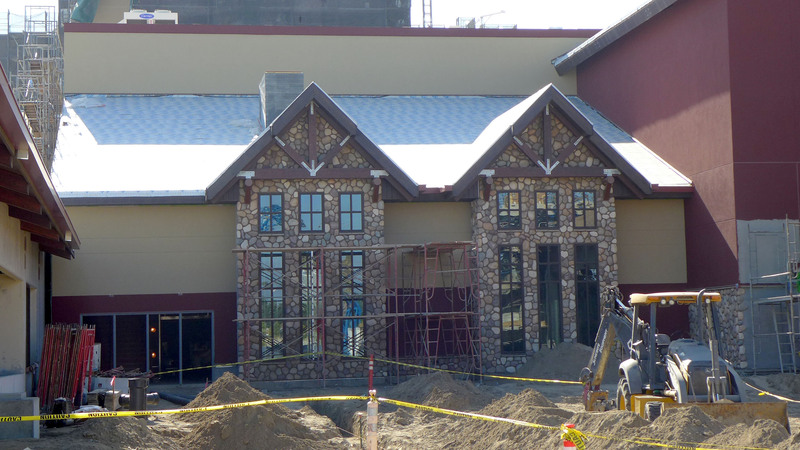 We’re just a few short months away from the grand opening of Great Wolf Lodge SoCal, the brand new resort destination being constructed just 1 mile from Disneyland in Garden Grove, CA. 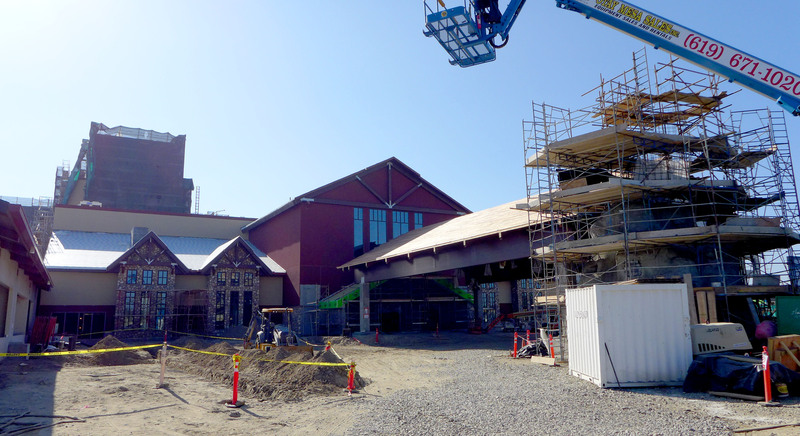 Construction has picked up at a feverish pace as crews add finishing details for the early 2016 Grand Opening. Let’s take a quick look at some of the action! The first thing most people driving down Harbor Blvd will be the bright Orange and Red slide (named Howlin’ Tornado at other resorts). 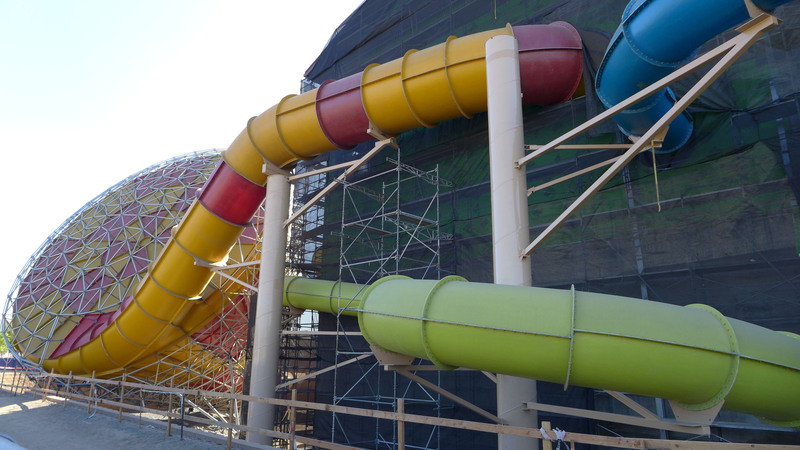 This will be one of many indoor/outdoor water slides seen at the water park. 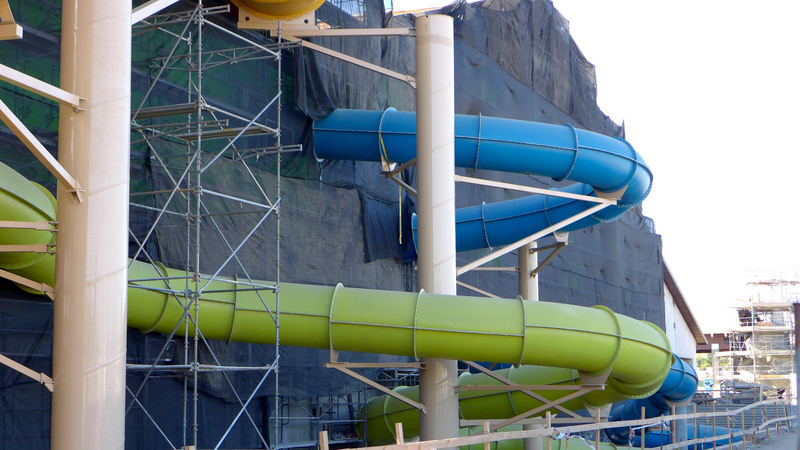 Most of the slides seem to be complete at this point, it’s just a matter of building the surrounding structure around the tubes and making everything blend together seamlessly. One of the main icon’s of the new resort is a giant rock wolf that adorns the main entrance and greets incoming visitors. 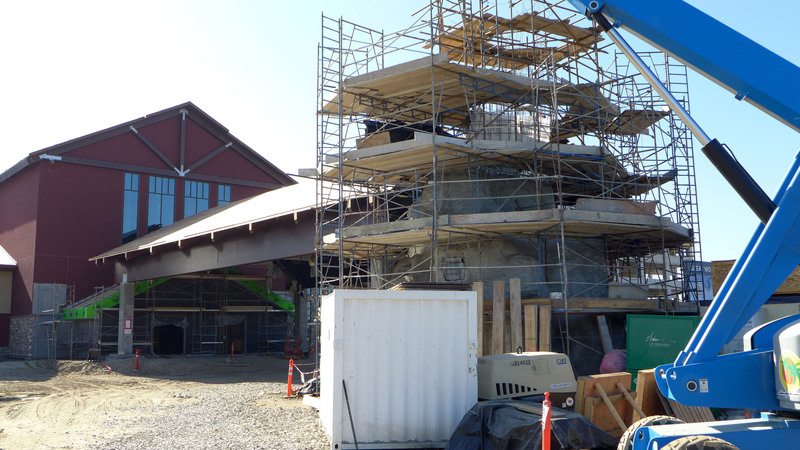 We can also see that some of the final exterior finishes are starting to be added to the entry portal. 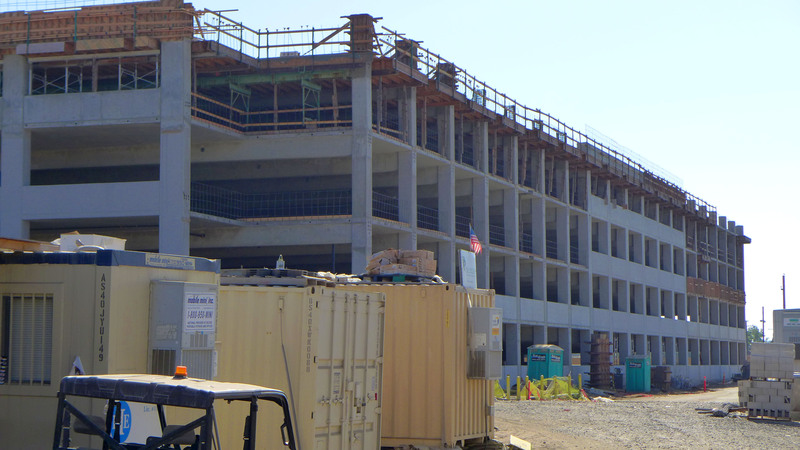 On the opposite end of the property a massive parking structure has appeared in a matter of a few months. For more pictures of the on-going construction site be sure to check out our Flickr gallery below! Stay tuned for more from Great Wolf Lodge California, and be sure to get social with us on Facebook, and follow along with us on Twitter @BehindThrills for the latest updates! For more information about Great Wolf Lodge Resorts, including booking info, visit the official website by clicking here! Universal Studios Hollywood (6/23/2017) – HHN Build, Lower Lot Construction, Starway Expansion and More!